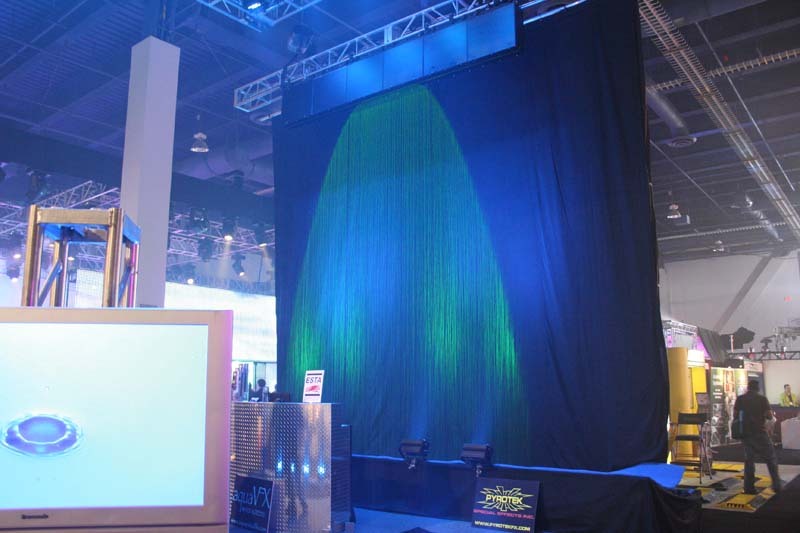 Aqua Visual FX had a great booth at LDI this year. 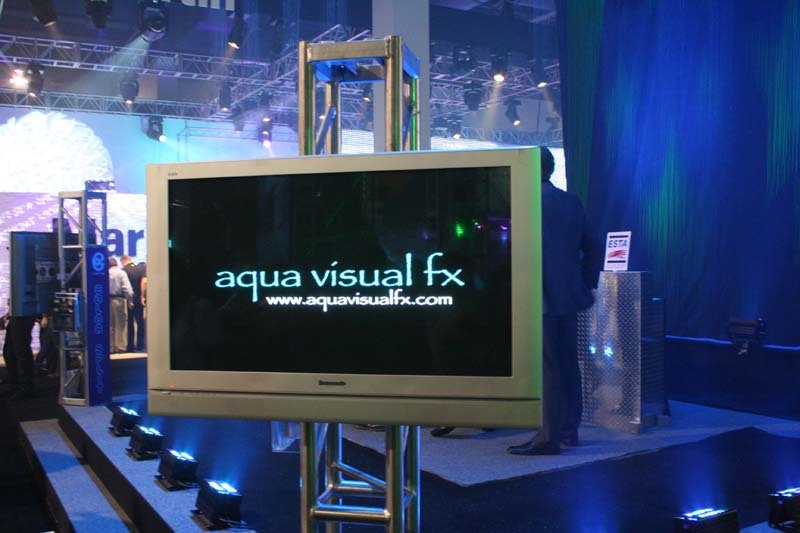 For those of you who don’t know about Aqua Visual FX’s products, it’s basically a water billboard, with the images and text you want displayed shot down in sheets from a top point. 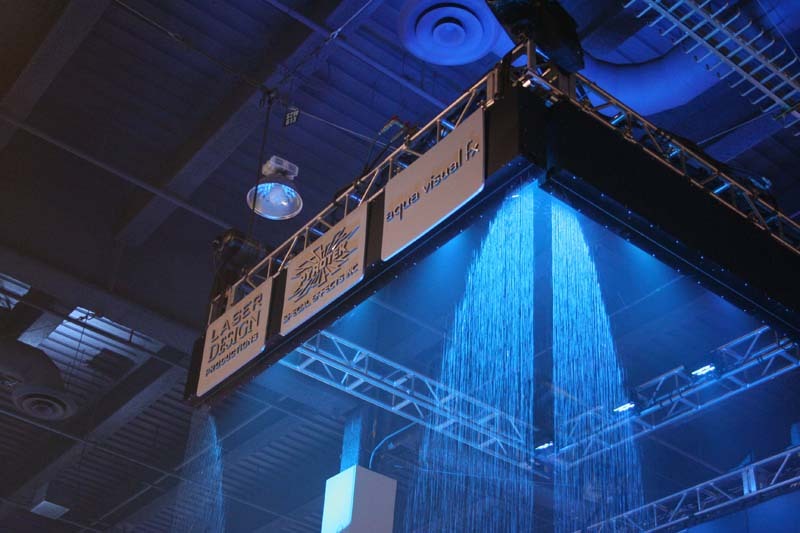 All the water is in a relatiovely closed circuit system, with the water being recycled once it reaches the bottom. You’d think that all of that water hitting the ground would make a lot of noise, but because of the baffle-like filter at the receiving end of the water, it is very quiet. 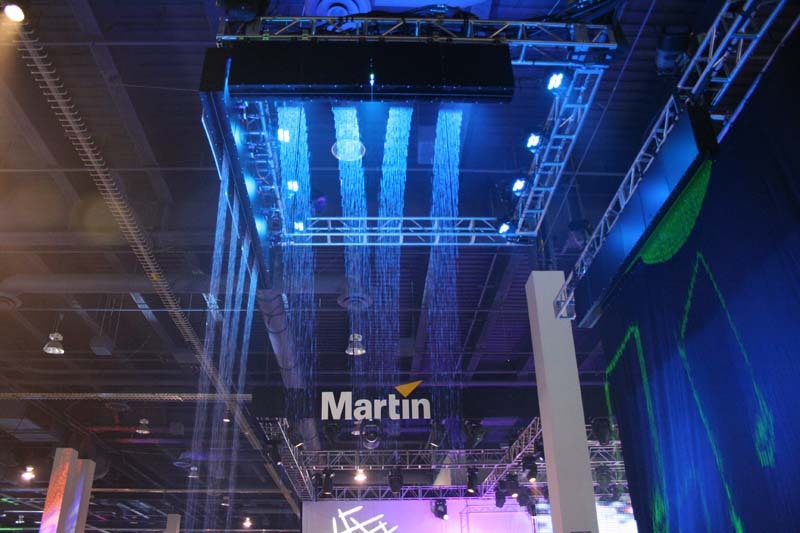 I’ve seen a few of these in use at trade shows, but LDI’s display was my favorite.